About Central Florida Auto Repair Inc.
No Commissions or up sales pressure just honest work for honest pay. "Have been coming to Central Florida Auto Repair for many years now, and have always experienced excellent service and professionalism for a reasonable price. Frank and Brian always go out of their way to make sure the customer is satisfied. I appreciate all of their expertise over the years and will continue to have my vehicles serviced with them." "We've been coming to Central Florida for over a year. It's hard to find good, honest mechanics. If you are looking for mechanics that are honest, fair, and informative, this is the place you should go. Excellent customer service. We have three cars that we bring to Central Florida Auto Repair, and we've never been disappointed. Frank and Brian are not only professionals, but they have a great sense of humor, that's a huge asset in any business." "We have always been please with Central Florida Auto Repair. Been taken our Mountaineer and our Dodge Dakota for yrs. We will not try any other shop. Professional, courteous, and has explained with detail everything he diagnose and has repaired them like a vehicle out of a dealer. Frank you are the best in the area, would recommend you with pleasure." 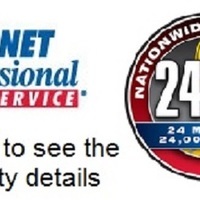 "My experience with Central Florida auto repair has been an excellent. I've been going to them for years now, the staff is always kind and honest and I love the fact that it's a family-owned business. I will never take my vehicle anywhere else but C F A R."
"Always efficient and thorough. Everyone that I’ve referred to CFAR has been just as happy with the service as I have. Grateful for CFAR !"